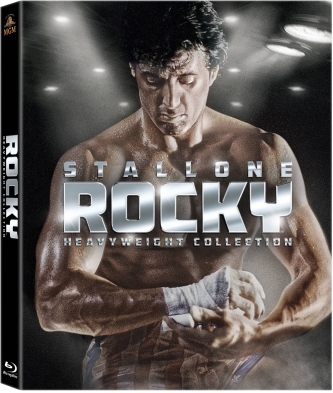 Go the distance with this Rocky Heavyweight collection, featuring all six knockout Rocky films including the first film with a stunning new master. Sylvester Stallone stars in the greatest boxing saga of all time and triumphs as one of the most inspirational characters in cinematic history. Witness every epic, action-packed fight and unforgettable moment as Rocky strives for greatness through sheer determination against impossible odds. This collection contains over three hours of bonus features including a new featurette “8mm Home Movies of Rocky” narrated by Director John Avildsen. ● Theatrical Trailers, TV Spots and More!